Okay, you know how vampires are always accused of mesmerism, hypnotism and all that jazz? Well…come closer… closer…look into my eyes…. It’s all true. You will tell no one. You will buy my books. You will buy copies for all of your friends and family, your enemies, your cat…. Oh, er, sorry, I got a little carried away there. Let me start again. You know how you walk through a bookstore and vampires are everywhere? That’s because we’re insidious. We’ve infiltrated your hearts and souls. Zombies might eat your brains, but we can get inside them without ever cracking open your skull. And, really, isn’t that better for everyone? Certainly it leaves a better-looking corpse. Luckily, it’s not really in our best interest to leave corpses lying about. For one, it’s unsightly. For another, corpses don’t buy retail. And in a tight economy, we don’t want to start stalking our target demographic, not after all the trouble we’ve gone through to control creative types like writers, illustrators, directors, producers and anyone else we can tap for a portion of the proceeds. So, love us or leave us, vampires are here to stay. We’re fanged, we’re fabulous, we’re famished…and you look good enough to eat. 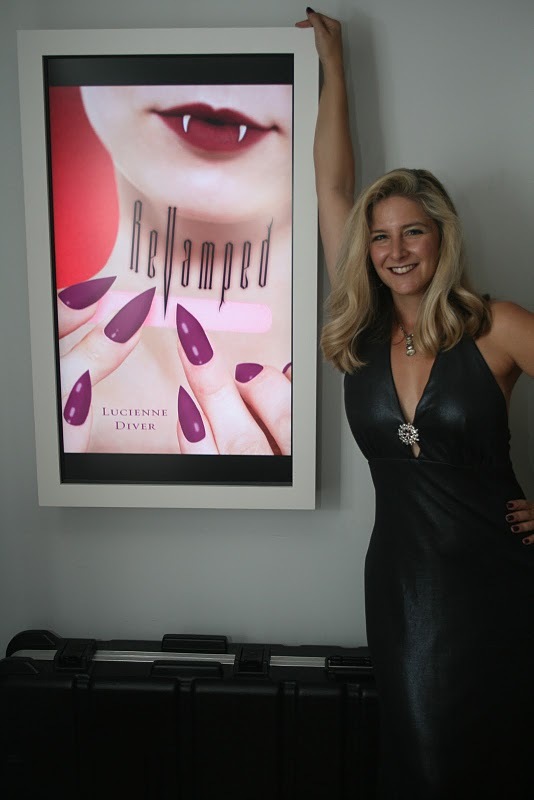 Lucienne Diver is the author of the Vamped young adult series, which began in May 2009 with a novel of the same name. 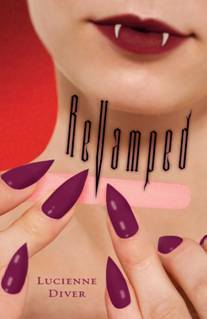 The sequel, ReVamped, is a September trade paperback release from Flux, and two more books, tentatively entitled Fangtastic and Fangtabulous will follow. 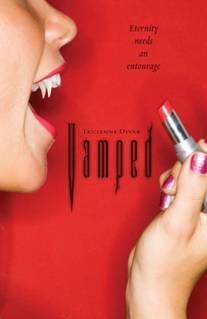 Kirkus has said of Vamped, “Those who enjoy a good giggle will respond eagerly to this brassy, campy romp.” School Library Journal says, “This quick read is filled with teen slang and fashion consciousness; it’s a lighthearted, action-packed, vampire romance story following in the vein of Julie Kenner’s “Good Ghouls” (Berkley), Marlene Perez’s “Dead” (Harcourt), and Rachel Caine’s “The Morganville Vampires” (Signet) series.” Further information is available on her website: www.luciennediver.com. MGC thanks Lucienne -- and Gina, of course -- for guest blogging today! 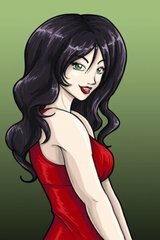 Odd, I was about to believe the mystery, but then the picture of the red-dress black-hair lady distracted me and here I am. But seriously, yeah, I'll read anything that merits the adjective 'brassy'. Here we go. Thanks, y'all. You know, I never considered that the reason I wake up so early to write is that my muse has fangs (as Tara said) and therefore wakes me out of a sound sleep before sun-up. Well... I have running arguments with at least two of my characters over which of us made the other up so I totally understand Gi... I mean, Lucienne. HONEST, I meant Lucienne. Sounds like lots of fun, Lucienne.